Newly arrived from Ghana with his mother and older sister, eleven-year-old Harrison Opoku lives on the ninth floor of a block of flats on an inner-city housing estate. The second best runner in the whole of Year 7, Harri races through his new life in his personalised trainers – the Adidas stripes drawn on with marker pen – blissfully unaware of the very real threat all around him. With equal fascination for the local gang – the Dell Farm Crew – and the pigeon who visits his balcony, Harri absorbs the many strange elements of his new life in England: watching, listening, and learning the tricks of urban survival. But when a boy is knifed to death on the high street and a police appeal for witnesses draws only silence, Harri decides to start a murder investigation of his own. In doing so, he unwittingly endangers the fragile web his mother has spun around her family to try and keep them safe. 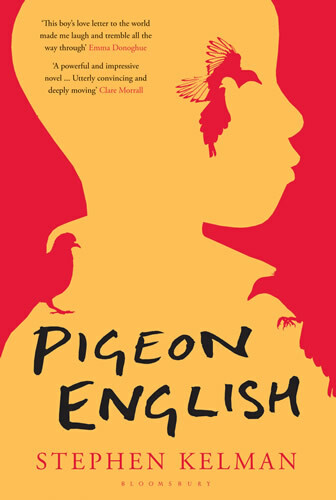 A story of innocence and experience, hope and harsh reality, Pigeon English is a spellbinding portrayal of a boy balancing on the edge of manhood and of the forces around him that try to shape the way he falls. 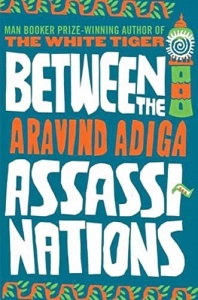 Overall condition : Fine – some light scuffing to spine and edges that's considered typical of a book with a card cover. Pigeon English, Stephen Kelman’s debut novel, was shortlisted for both the 2011 Man Booker Prize and the 2011 Desmond Elliott Prize.